In the town of Wishville, every dream can come true, for the right price. Your husband Jack has gone there, but when he doesn't return, you follow in his footsteps, discovering anything but a paradise. The town is threatened by enchanted roses that choke the life out of anyone who steps outside the town gates. Now these lingering souls need your help to fulfill their wish contracts so they can move on, but will you be able to save your beloved husband from meeting the same twisted fate? And who is sending the roses to kill the townspeople? The answers all lie in a beautiful castle, surrounded by a maze thick with the deadly roses. 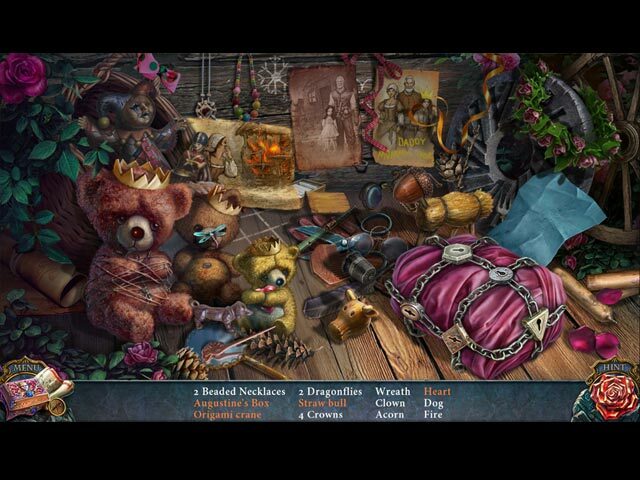 Solve all the mysteries in this enchanting hidden-object puzzle adventure game! 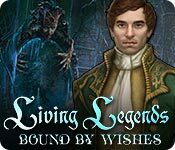 Living Legends: Bound by Wishes is rated 4.6 out of 5 by 27. Rated 5 out of 5 by Rhyf from excellent game Lovely game, beautiful artwork and great music, nice storyline and no need to jump around allover the place in the map to get what you need to follow the storyline. Very good. I recommend this game. Rated 5 out of 5 by tmpillers from great game I really enjoyed this game. The puzzles are not real hard but not to easy either. If you like really challenging puzzles you may be disappointed in that regard. the story the puzzles everything fit together very well. 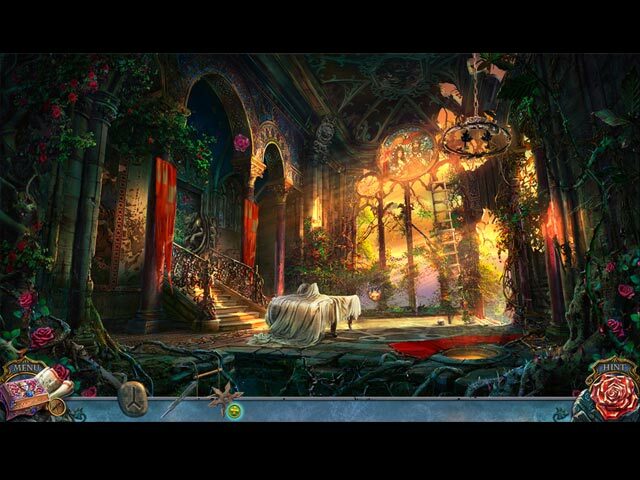 This was rated by several sites I looked at as the number one hidden object game, the year it came out. This is why I got it , and I was not disappointed. Rated 5 out of 5 by ipprocessdoc from Great story! Lots of fun What a great story! A classic story made into a game. It was easy to follow, the characters made sense, the locations made sense, and it was just one of those games that is worth your time. I played in custom mode so didn't use hints or sparkles or anything like that. So the review below is based on that: The map is interactive. You can click on the map to see areas that you have something to do. However, the locations have a name but as you move about with the cursor, you are not told the name of the room you are entering. For instance, if the map says you have something to do in the Secret Room you need to know what the Secret Room looks like as there are no names given as you enter. The map will allow you to go there so that's a possible solution. The games were quite easy. This is the only ding on this game. The HOPs were varied and easy to determine the objects. Others have detailed what types of HOPs are used so will not be discussed here. The end was complete and didn't leave you wondering where the rest of the game was. Gotta love the games that actually conclude. :-) This was not a long game but really worth your time and money. Rated 5 out of 5 by cejene from Well done. This is one of the best games I've played in awhile. Great story, music, and graphics. I thoroughly recommend this one. Everything you want in a good game. Rated 5 out of 5 by rpggramma from Be Careful What You Wish For! Great game. Devs are listening; the storylines are getting very interesting! This was different, fun, and enjoyable. Not the run of the mill. I enjoyed the puzzles; they were not too easy! A little bloodletting, but not bad. Actually, quite fun! Thanks, devs. Rated 5 out of 5 by mechanic7214 from I Have A Question about the little doll that helps out Fun game; loved it. Does anyone know which other games have the little stuffed doll with a sombrero on his head, he helps out , jumps off his pedestal and gets you what is needed. This was my first of the living legends and I loved it; kept my attention all the way thru; will now purchase more of these games! Rated 5 out of 5 by buck28 from Living Legends: Bound by Wishes Sit back with a cup of coffee and enjoy! This is one of the best games I've played in awhile. Great story line, music, and graphics. Fun puzzles and not too easy or hard. I thoroughly recommend this one. Go and get it. Rated 5 out of 5 by danichar from Great game! 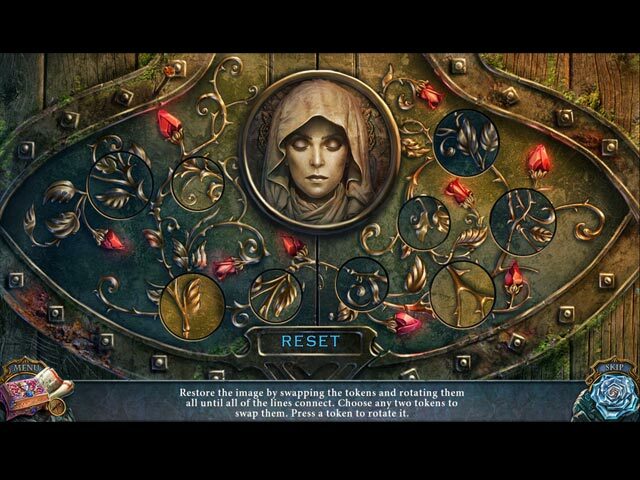 There was a beautiful storyline, great puzzle features. The imagery drew you in. There wasn't too much story to take away from the gaming aspects and I enjoyed the variety of puzzles. Rated 5 out of 5 by JulzCat from A Mish-Mash of Fairytale Fun! So, in this game, we have a mash-up of fairy tale characters (Sleeping Beauty and Rumpelstiltskin) that are wreaking havoc on a castle. This time, instead of needing to remove ice, you have to remove deadly overgrown roses and release souls that are all under heavy contracts. I really enjoyed this game. It had a bloodthirsty box, killer mazes and vengeful relatives. What more could you ask for? Rated 5 out of 5 by ninja226 from Every wish has a price Loved this game! The visuals, cinematics, transitions, voiceovers, HOS, mini games are excellent. Very well done. What more can be said--buy it. You will like it.